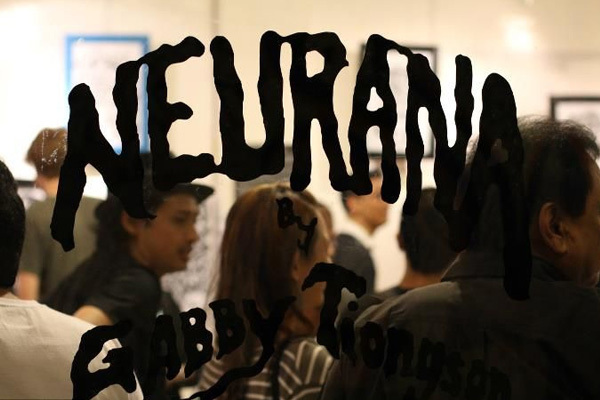 Gabriel S. Tiongson wields a Sharpie with the surgical precision of a scalpel. 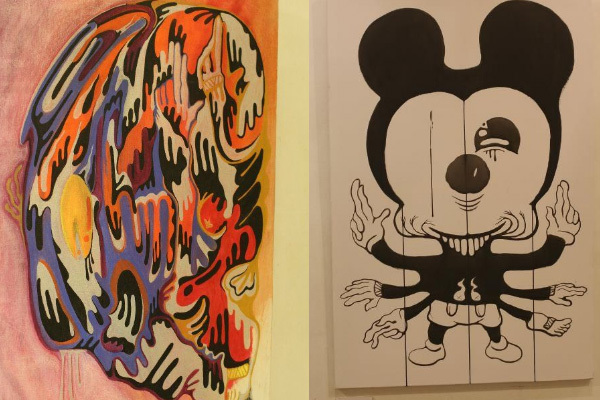 Black lines, sure and strong, cut through paper giving life to creations pulled from Tiongson’s cerebrum. 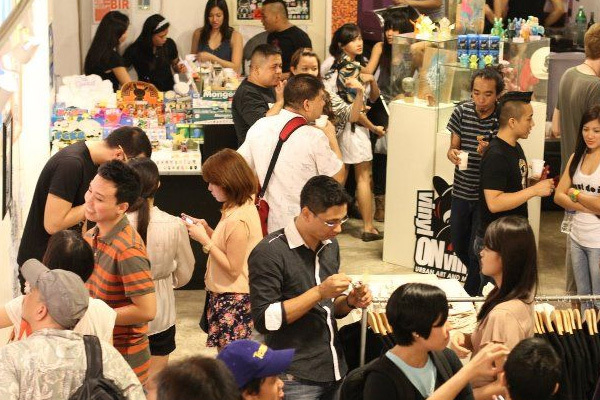 Artworks are on display until 16th September 2011 at Vinylon Vinyl Urban at The Collective, Malugay Street, Makati City. 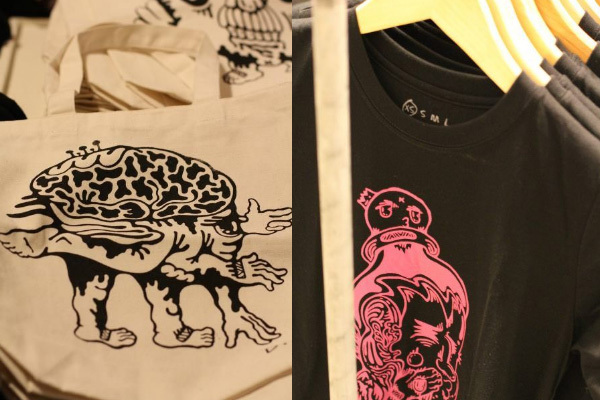 The canvas bags and t-shirts were a hit! I'm gunna get a personalized one soon. You can get one too! Gabby is my best friend from Ateneo who secretly likes to do robo-dances and has to eat desserts after meals. He wears glasses with wooden frames and likes 80's/90's lightnings. Congratulations on a very successful event Gabby!!! 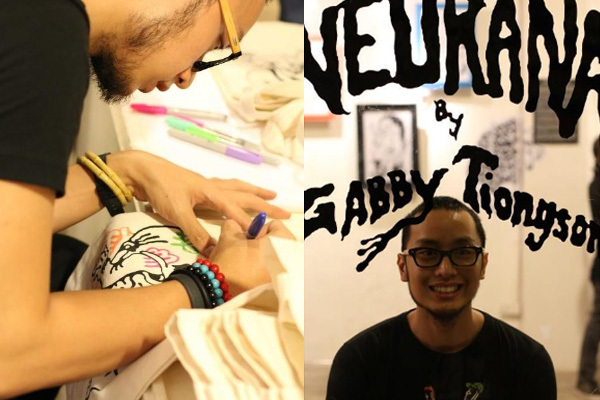 Read more about Gabby on THIS ARTICLE from The Philippine Star. All photos from Mr-Next-Big-Thing cinematographer, Marvene Rom Munda.